ANALYSIS - For years, livestock farmers have used manure as a fertilizer, soil amendment, energy source and even construction material. With today’s science and technology, we can use manure more efficiently and in new ways like protecting water and air quality and reducing greenhouse gases. When managed improperly, manure can harm the environment. But when properly managed, it can serve as a valuable, renewable resource. Utilizing manure to meet crop nutrient needs is beneficial for many reasons, according to Laura Pepple, Livestock Extension Specialist with the University of Illinois Extension Service in an online presentation. Beyond supplying a crop with its Nitrogen (N), Phosphorus (P), and Potassium (K) needs, manure improves soil quality through better water use and increased organic matter and micronutrients. The following manure information details the beneficial uses and importance of manure and demonstrates the ways it can benefit the economy while also being managed in ways which protect the environment. It was created by several US commodity groups in partnership with the US Environmental Protection Agency. 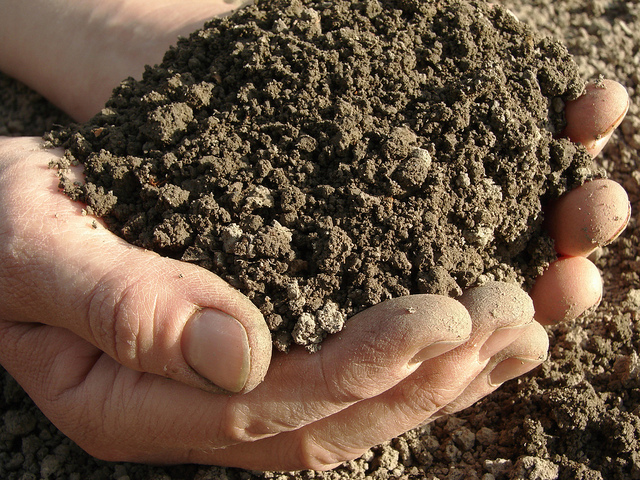 Manure contains nitrogen, phosphorus, and other nutrients that plants need to grow. Farmers can often save money by properly using manure as a fertilizer. Farmers can also sell manure or manure products to gardeners, landscapers, golf courses, and others who use nutrients to grow plants. Manure can be land-applied in its raw form, or after processing (for example, composting, pelleting, nutrient extraction). Just like other fertilizer sources, as long as the manure is applied from the right source, at the right rate and time, using the right methods, and in the right place, manure nutrients can be recycled safely through agricultural systems. Land application of manure should be guided by a nutrient management plan (NMP) that outlines how to balance crop needs with manure nutrient concentrations. The NMP includes specifications for manure application based on soil and geographical conditions in order to avoid over-application, prevent runoff, and protect water quality. Proper use of manure as a fertilizer minimizes nutrient pollution to water resources and helps build healthy soils. Manure nutrients can also be used to grow worms, insect larvae, algae, or other living organisms. Through “biomass conversion,” these organisms transfer manure nutrients to their bodies or castings, which can then be harvested and used as fertilizer, animal feeds, or soil amendments. Adding manure to soils is an excellent way to increase soil organic matter. Soil organic matter contributes to overall soil health—the soil’s ability and sustainability to function as a living ecosystem. In addition to slowly releasing plant nutrients over time, organic matter improves soil structure and the soil’s ability to hold water. Healthier soils improve crop yields and reduce soil loss from both wind and water erosion, and protect water quality by reducing contaminated runoff. Land managers can increase soil organic matter by applying raw manure or a manure product like compost, pellets, or biochar — a product of manure combustion. Manure should be utilized appropriately, as noted in the previous section. Manure begins as mostly water. Different types of manure can contain from 8 to 26 per cent solids. By separating the liquid and solid portions of manure, the solids can be used for other purposes. Many dairy farms use separated manure solids for bedding. This can save farmers up to $50 per cow every year— savings that can add up for dairy farmers milking hundreds of cows! Manure contains a lot of carbon and other elements that can be used to generate different types of biofuels. Anaerobic digestion is a technology that uses microbes to process manure into biogas. Biogas can be used to generate heat or electricity for use on the farm or sale to the local power grid. Thermal processes can produce liquid bio-oil fuels, including biodiesel, and useful byproducts like biochar. Bio-oils can be used for heating or generating electricity. Biodiesel can be used just like petroleum diesel. Gasification can also be used to convert manure to syngas, a synthetic gas fuel that can power engines, turbines, and fuel cells. Using manure to generate biofuels reduces our reliance on non-renewable fossil fuels. In addition, farmers can save money when biofuels are used on the farm. Manure contains a great deal of fiber. Some of the fiber is from undigested animal feed and some is from straw, sawdust, or other bedding that gets mixed in with the manure. Manure fiber has been used to produce a number of specialty consumer products like plant growth medium (similar to peat moss), seed starter pots, fertilizer garden sculptures, paper, and building materials. Consumer products help turn manure from a potential environmental liability to a commodity. The fact sheet detailing Beneficial Uses of Manure and Environmental Protection was a collaboration between the Environmental Protection Agency and the National Cattlemen's Beef Association, U.S. Poultry & Egg Association, United Egg Producers, National Pork Producers Council and National Milk Producers Federation.